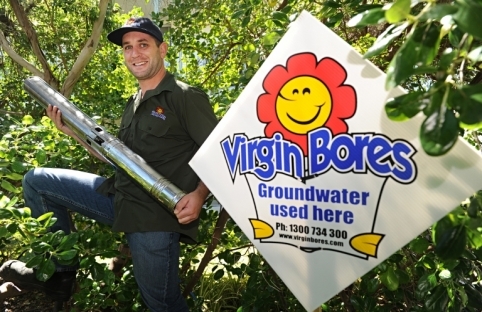 We are the garden water bore specialists for new bore drilling and repairs in Duncraig. We have done a lot of work in Duncraig including Maybach Way, Glover Street and Jervoise Street. The deeper bores in more elevated parts of the suburb used to be unaffordable. The more shallow bores were commonly the old style well with concrete well liners and the tin lids above the surface. With advances in technology Duncraig water bores are now far more affordable. The modern water bores we drill in Duncraig, Carine, Karrinyup, Padbury and Kingsley and surrounds are essentially a cylindrical stainless steel submersible pump inserted in to a 100mm PVC sleeve or bore casing that has been drilled (bored) in to the ground. In Duncraig it is typically 12 metres into the water table. The pump is submersed under water inside this casing deep beneath the ground. The water is quietly pumped to the surface and normally connected in to a homeowners automatic reticulation sprinkler system. If you would like to know the depth to water underneath your property call 9246 0111 and one of the Virgin Bores team will be able to tell you. We get data from the Perth Groundwater Atlas and rely local Duncraig water bore experience. Yon can share a water bore with your Duncraig neighbour and therefore share the cost. The shared bore can be operated by each homes individual reticulation controller. Virgin Bores have a vast local knowledge and over a decade of experience in the installation of Duncraig water bores. Call us on 9246 0111 to get an idea of the cost for a water bore. We have drilled many water bores in Duncraig, Carine, Karrinyup, Padbury and Kingsley. ALSO when you think bore repairs Duncraig think Virgin Water Bores and call 7 days on 92460111. Our Duncraig bore service team and electrician have valuable local knowledge in servicing a submersible water bore or the old well style. If you have an problem with you water bore it may be covered by your home insurance. We can advise on this.